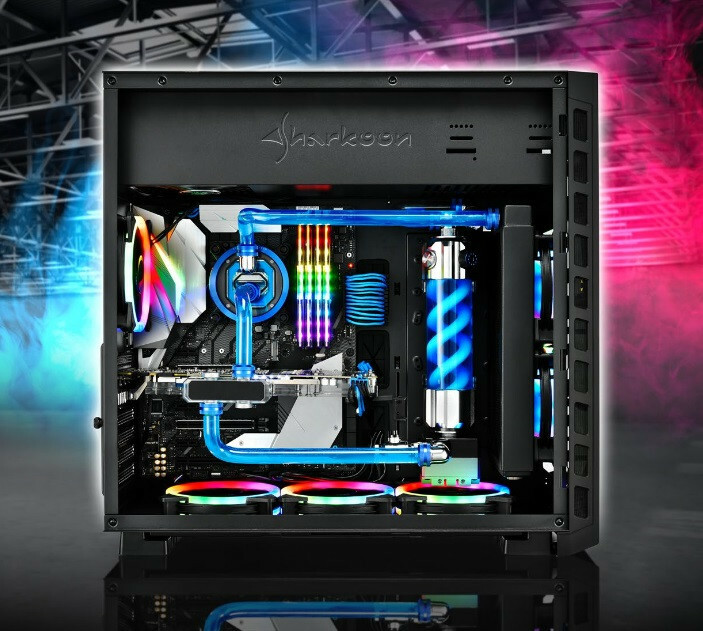 Sharkoon Technologies is celebrating their 15th anniversary with a case especially made for high-end gaming hardware. 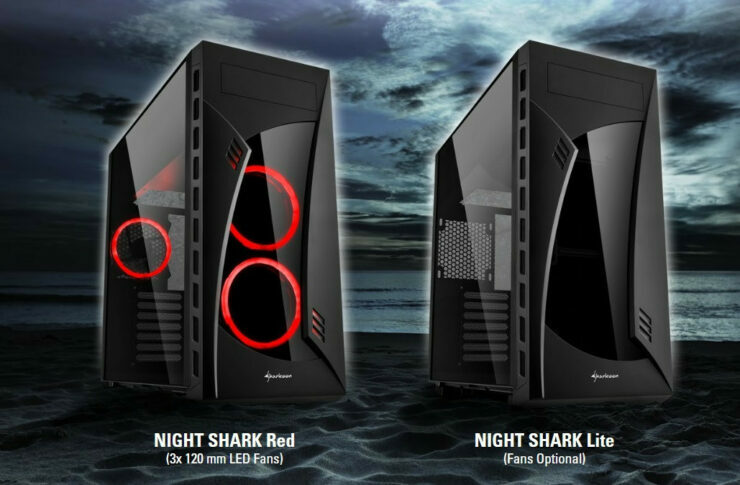 The NIGHT SHARK ATX Midi Tower is the largest chassis PC case launched so far by Sharkoon. It is able to incorporate larger dual and multi-processor mainboards, graphic cards with a maximum length of 42 cm plus CPU coolers with a maximum height of 16 cm. The installed components can be clearly seen through the side panel and the case front window, both made of tempered glass. 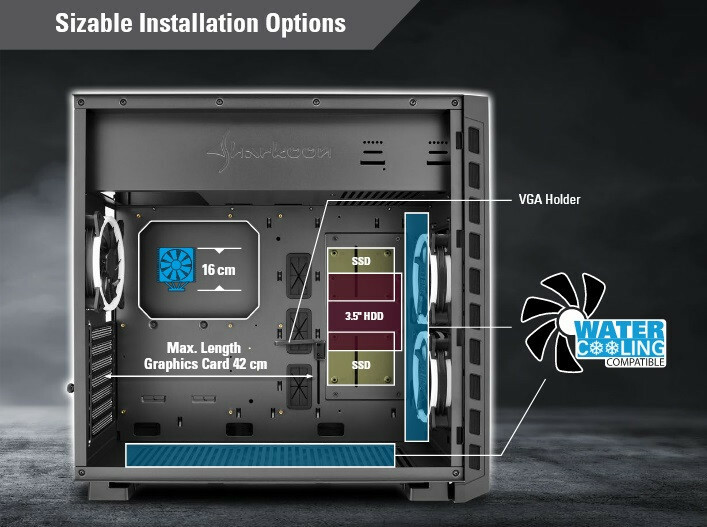 To maximize the view of all components, Sharkoon has turned its usual interior configuration on its head by placing the power supply tunnel in the top of the case. Thus, not only does the power supply fan become more visible, but also the view of all the other components are enhanced. 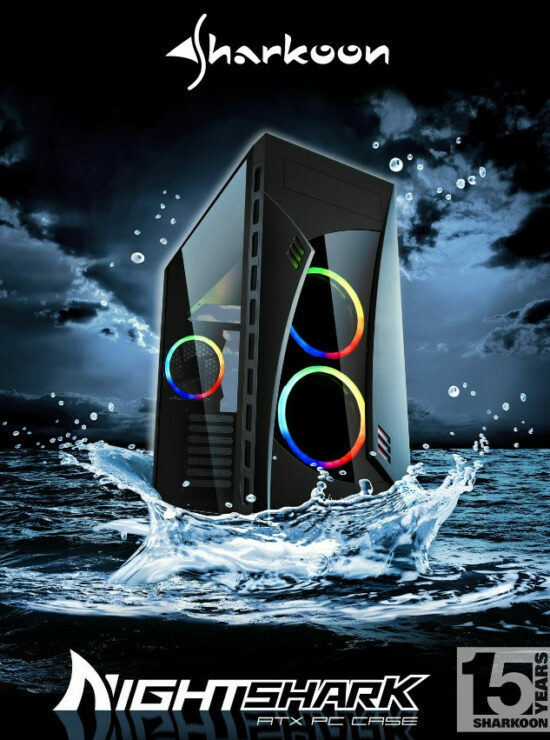 The NIGHT SHARK is optimized for liquid cooling. 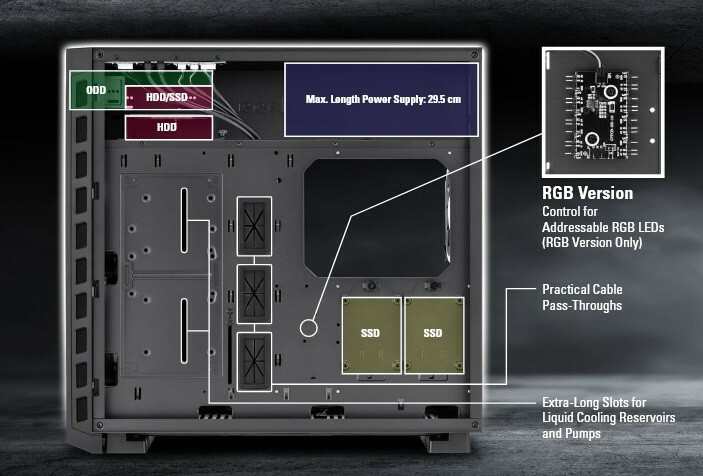 The removable HDD/SDD mounting plate in the inner side panel has special extra-long slots for the easy installation of liquid cooling reservoirs. A 240 mm or a 280 mm radiator can fit comfortably on the case front, and a 360 mm radiator can be installed on the bottom panel. A total of eight 120 mm fans, with removed HDD/SDD mounting plate, can be installed for those who prefer “classic” cooling. Instead of two 120 mm fans, two 140 mm fans can be mounted in the front of the case. 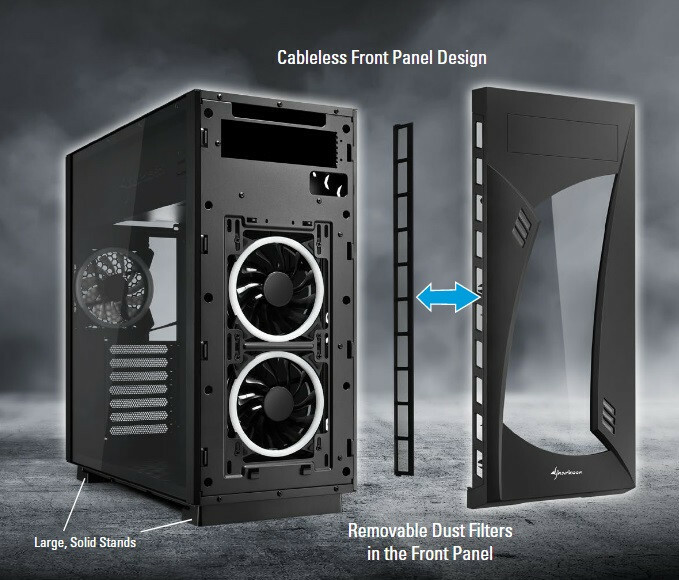 For a personalized airflow, the case is available in four different versions. The NIGHT SHARK Lite comes completely without any fans. The NIGHT SHARK Blue and the NIGHT SHARK Red have two pre-installed 120-mm LED fans in blue or red behind the front panel as well as a 120 mm blue or red LED fan on the back of the case. 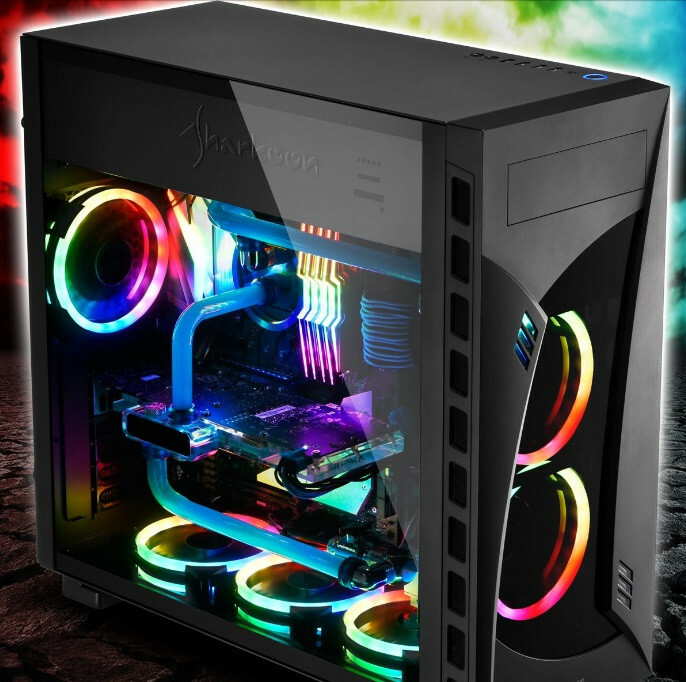 The NIGHT SHARK RGB also has three pre-installed 120 mm fans, two at the front and one at the back, each with addressable LED RGB rings. 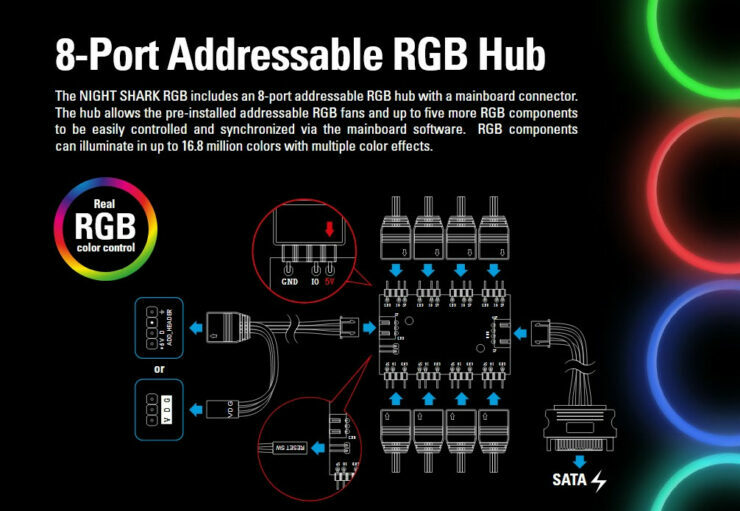 For controlling the LED fans, the NIGHT SHARK RGB has a pre-installed RGB hub on board. This can be used either with the mainboard software and digital RGB controller or manually via the reset button on top of the case. With older mainboards, the manual control allows the user to choose from fourteen preset lighting effects. Control via the mainboard software allows for an illumination within a range of 16.8 million colors. The Sharkoon NIGHT SHARK is now available in a Lite version at a suggested retail price of 69.90 Euros. 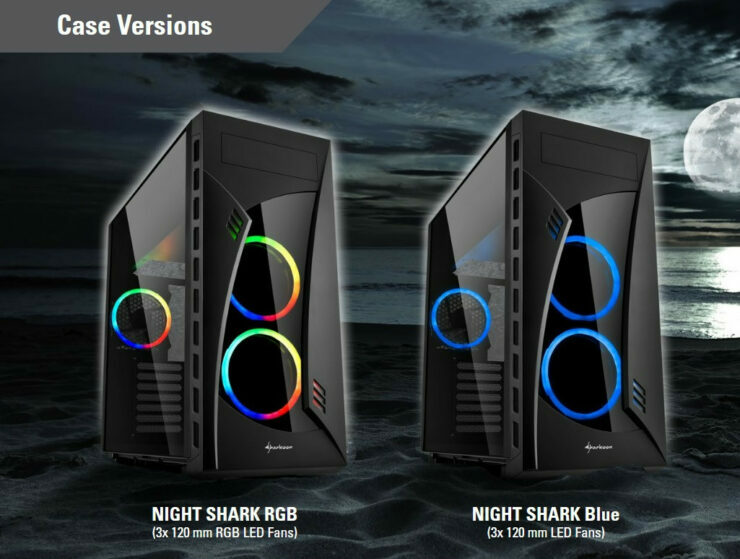 Also available are the NIGHT SHARK Blue version and Red version for 79.90 Euros, and the NIGHT SHARK RGB for 89.90 Euros.